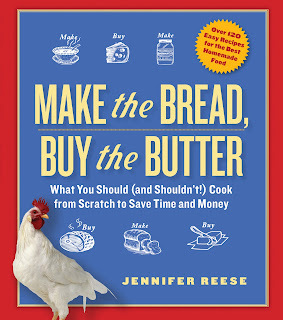 The Tipsy Baker: Read this book. Try this chocolate. "I said, No thanks, I don't like white chocolate, and he laughed at me, holding out a small square on the tip of his knife, which I took. I put it in my mouth. Ecstasy! Revelation! Incredible mouthfeel! Creamy vanilla pleasure flooded through me. The intense chocolateness of this ambrosial substance was hidden in plain sight. He laughed at me again, holding out another square on the tip of his knife." This epiphany inspires the narrator to invent a disastrous new candy. 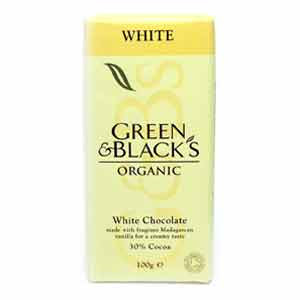 This epiphany inspired me to search for Green & Black's white chocolate everywhere I went for almost a month. In vain. I started to doubt its existence until I found a bar at Rainbow Grocery in San Francisco last week. I was so happy. Seriously, finding that chocolate made my boring day. Never underestimate the non-trivial pleasure of even a trivial quest. And the chocolate? It's not waxy or yellowish, like so much white chocolate, but a rich beige, visibly flecked with vanilla bean. On the flavor of this stupendous chocolate, at least, the narrator of True Confections can be relied: Ecstasy! Revelation! I should have bought ten bars when I had the chance. No way. Are you certain? Because I ate a cottage cheese tub full of white chocolate once, and for some reason it has never tasted good since. And here's your chance to buy exactly 10 bars! Green & Black's are very tasty. They sell them at my local Target. I love the 80% dark chocolate.